Shenhua, China’s largest coal miner with 420 million tons of annual capacity, will absorb Guodian’s 65 million ton capacity. It will also amalgamate Guodian’s 143 gigawatt (GW) of power generation capacity with Shenhua’s 83 GW, creating a 226 GW behemoth surpassing current leader China Huaneng Group’s 165.5 GW. Guodian, already the world’s largest wind farm operator with 26 GW of capacity, will widen the gap with its domestic rivals further, after combining with Shenhua’s 7.4 GW wind capacity. “State Energy Investment will continue to consolidate other players both up and downstream of the supply chain,” said ICBC International Analyst Zhao Dongchen. The merger is part of Beijing’s ongoing effort to enhance competitiveness of the central government’s enterprises through mergers and acquisitions (M&As), with a long term target to cut their number to 40 from the current 98. 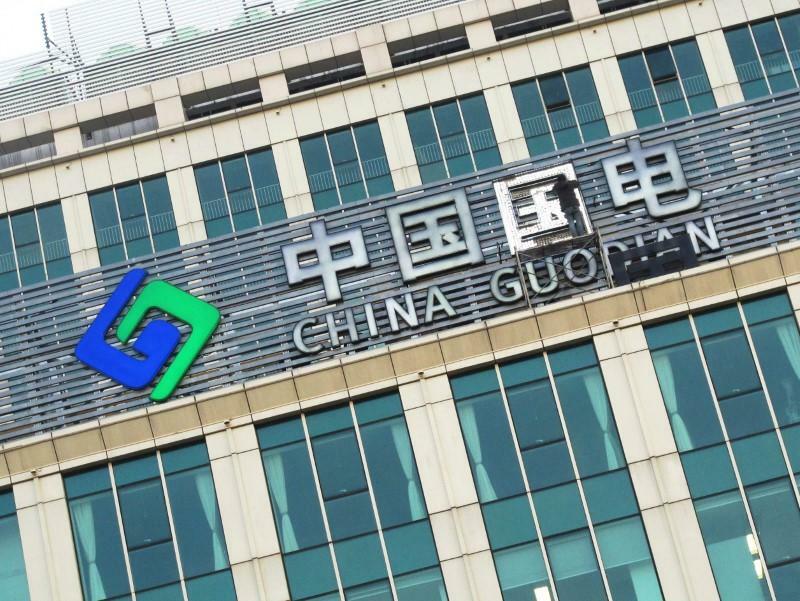 Guodian’s net assets amount to CNY146 billion compared with Shenhua’s CNY516 billion, the South China Morning Post reports. The merged group’s assets exceed CNY1.8 trillion and it boasts power generation of nearly 226 GW — making it the world’s largest power group. China’s government has tapped 14 strategic investors to shake up the ownership structure of China United Network Communications, the Shanghai-based holding company of Hong Kong-traded China Unicom. The government will sell a 35.2% stake for about CNY78 billion to a consortium of private-sector investors, according to Unicom Chairman and Chief Executive Wang Xiaochu. The transaction is scheduled to close by the end of this year. The transaction marks the first case of the Chinese government’s so-called mixed-ownership program, which aims to introduce private-sector vigor and expertise, fresh capital and innovation to the country’s state-owned enterprises (SOEs). The consortium of investors include Alibaba Group Holding, Baidu, Tencent Holdings and JD.com. Unicom plans to collaborate with those four companies in areas that include etail, payment and internet finance, content aggregation, big data and the Internet of Things (IoT). The other investors include retailer Suning Holdings, diversified technology conglomerate Kuang-Chi Group, ride-sharing market leader Didi Chuxing, data center services provider Wangsu Science & Technology, business software provider Yonyou, China Life Insurance, railway rolling stock manufacturer CRRC Corp and the Qianhai Fund of Funds. “Unicom will be able to leverage the strength of each strategic investor to further develop its business,” Jefferies Equity Analyst Edison Lee said. The proceeds of the investment will be used to enhance Unicom’s 4G mobile capability, conduct 5G technical trials, build test networks, and invest in innovative businesses, the South China Morning Post reports. The ownership shakeup comes on the heels of a 68.9% jump in Unicom’s first-half net profit to CNY2.4 billion, as the company effectively cut its operating expenses. The second half of the year will see China’s outbound mergers and acquisitions (M&As) stabilizing, in the wake of a slump in the first six months, according to a new report issued jointly by the China Mergers & Acquisitions Association (CMAA) and international accounting firm EY. The report estimates that a total of USD100 billion of non-financial outbound direct investments (ODI) will take place in 2017 – the vast majority of them M&A – representing a 45% decrease on the previous year. The forecast second-half stabilization in M&A activities is partly attributed to increasing investments in Belt and Road economies. “Investments in Belt and Road economies have seen increases in the first half, reflecting the fact that the initiative is beginning to play a leading role in the globalization of Chinese companies,” said Chen Shuang, Chairman of CMAA and Chief Executive of China Everbright. Non-financial ODI flows in countries and regions covered by the Belt and Road Initiative reached USD6.6 billion between January and June this year, 13.7% of the total non-financial ODI flows, up 6% percentage points on the same period last year. EY emphasized that prospects for China’s outbound investments remain positive over the long term, the China Daily reports. China has revamped one of its regulations to cut red tape for foreign firms buying into Chinese businesses, a move expected to ease the way for more mergers and acquisitions (M&As) as Beijing tries to expand inflows of foreign investment. Under updated regulations, foreign investors will only need to complete one set of standard forms and notify the Ministry of Commerce (MOFCOM) if it takes a stake in a local company – as long as the deal does not involve a monopoly or national security. The revisions are designed to eliminate some of the costly and labyrinthine administrative reviews that have held back foreign direct investment (FDI) in China. Conditions have deteriorated to such an extent that German Ambassador to China Michael Clauss said last year it was “more or less impossible” for a German firm to invest in China through acquisition. As a result FDI inflows into China have stagnated, amounting to CNY441.5 billion in the first half, down 0.5% from a year earlier. Vice Commerce Minister Qian Keming said that international competition to attract foreign investment was fierce but the latest data showed that the FDI inflows to China were basically “stable”. In June, China changed its investment guidelines to open up more sectors to foreign funds, and Premier Li Keqiang said that China would roll out its “free trade zone” policies across the country to open the domestic market wider to foreign investment by the end of September. Two of China’s financial regulators have stepped in to calm market jitters about the government’s crackdown on overseas deals, denying reports that they would further discourage and scrutinize the overseas acquisitions by several of the country’s biggest asset buyers. The China Insurance Regulatory Commission (CIRC) denied a Bloomberg report that it had pressed Anbang Group to dispose of its offshore assets, including New York’s landmark Waldorf Astoria hotel Bank Nagelmackers, to repatriate the sales proceeds. There was “no related demand, plan or arrangement” to do so, the regulator said at a press briefing in Beijing. The State Administration of Foreign Exchange (SAFE) said it actively supports banks and companies engaged in “real and compliant” businesses to use their onshore assets as collateral for offshore loans, rebutting Bloomberg’s report that quoted unnamed sources saying SAFE was scrutinizing the borrowing practice. Several Chinese asset buyers, including Anbang, Dalian Wanda Group, Fosun Group and HNA Group, were reported to be under pressure to sell some of their assets abroad. “It’s clear the authorities don’t want people to panic,” said Brock Silvers, Managing Director of Kaiyuan Capital, an investment advisory in Shanghai. “They also need to avoid spoiling the market for companies like Anbang” and not be seen to be making demands or requests for them to exit from the overseas market, and “to remain rational to ensure good pricing”, the South China Morning Post reports.